Beleaguered mobile firm Research In Motion will be getting a change in leadership as its much-maligned co-CEO’s Jim Ballsillie and Mike Laziridis are stepping aside, reports The Wall Street Journal. 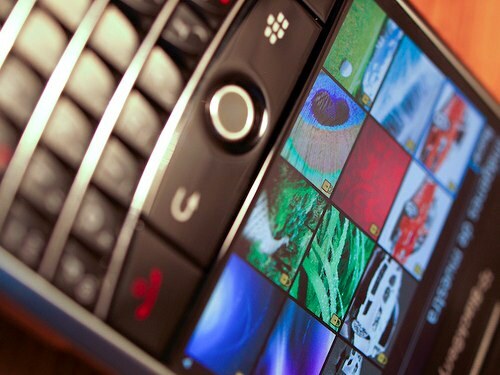 The CEO’s will be replaced by RIM’s COO Thorsten Heins. After more than 20 years sharing the job, Lazaridis and Ballsillie have been replaced due to a board induced shuffle. The two will remain on as directors of the company and are both large shareholders. When interviewed about the change, Ballsillie said that the change was “not a reaction” to investor pressure about the plummeting stock price, 3/4 of which went out the window in 2011 alone. The company says that it will continue on its current course, updating the BlackBerry Playbook tablet’s software to version 2.0, then following it up with the release of BlackBerry 10. Heins has been with RIM since 2007 and is toeing the party line as far as the change, which is that it was decided by the board and the CEOs mutually. RIM has made a couple of other changes to the board, appointing new member Prem Watsa, the CEO of Fairfax Financial, a large RIM shareholder. Watsa has stated that there was no pressure from him to oust Lazaridis and Ballsillie. Heins also hyped the fact that BlackBerry was involved in more than just cellular phones. “I’m happy that we’re not just a handset manufacturer, it’s this integrated platform,” he said, apparently referring to the PlayBook tablet. Heins has also stated that it makes sense to continue to ‘go it alone’ when it comes to software for BlackBerry devices, pointing to poor returns for companies like HTC who have gone with Android. Optimistically, he said that he would be open to licensing QNX-based BlackBerry 10 software to other manufacturers. Director Barbara Stymiest will take over as Chairman of the Board as Ballsillie and Laziridis are stepping down in their roles as Co-Chairman.